Enjoy a cup of English Breakfast today! It's in stock! An uplifting blend of zesty Ceylon teas expertly combined with rich, robust Indian teas. 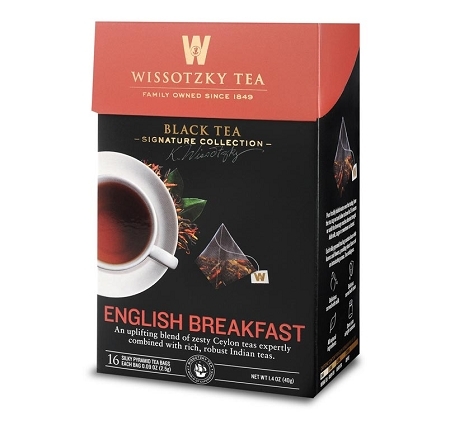 The sun never sets on this bright and perky British blend of black tea leaves. Carefully selected by our tea experts from the best plantations of Ceylon and India, this fine tea is rich and complex yet perfectly balanced to refresh. Enjoy with or without milk and sugar.